From fisheries, sustainability and motorbikes to mites, beer and evolutionary genetics: this week’s Real Scientists curator, Dr Matt Hill/@Insectecology, studies bugs and ecosystems for fun and sort of profit. Hailing form Australia but now resident in South Africa, the coffee-and-headphone obsessed Matt‘s earliest memory is looking at caterpillars in the garden. At age 7 he was given a microscope for his birthday, and by 10 he was sampling worms and scorpions into jars of alcohol and collecting birds nests, bones and skulls to the delight of all. Matt grew up in 4 different Australian states, meant that he got to see numerous animals and plants in different environments. This is probably what directed him towards science, a curiosity for diversity, and that ever-present question – why do things live where they do? 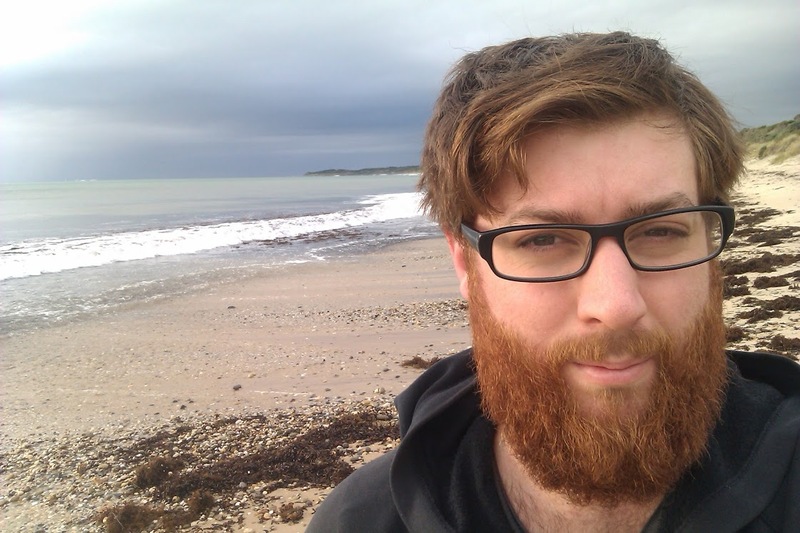 After a false start at the University of Tasmania, Matt completed an Ecology & Zoology BSc with honours at Adelaide University (South Australia), before submitting his PhD at Melbourne University (Victoria) in September, 2012. In January 2013 Matt moved to South Africa to take up a postdoc at Stellenbosch University in the Western Cape. Surrounded by mountains and vineyards he gets to see incredible animals and plants every day, and enjoy some amazing wine, all whilst thinking about ecology and evolution in what sounds like the worst postdoc ever. “Insects (& other terrestrial arthropods!) are simply amazing animals and provide some of the best study systems to think about evolution and ecology. They are so abundant, diverse and many of them reproduce quickly. This means we can more rapidly investigate ecological and evolutionary responses to pressures like climate change and biological invasions that take much longer for other plants and animals. While they are incredible creatures, some also place enormous pressures on food security and human health. Think about mosquitoes and the diseases like malaria and dengue that they spread. Or outbreaks of locusts wiping out entire crops. So investigating insects has a dual purpose. Understanding some of our most serious pests means that we get to understand more about ecological and evolutionary processes, but such research can also help drive management decisions in food security and disease control. Matt explored taxonomy, molecular systematics, population genetics and applied ecology before finding himself obsessed with distribution modelling and ecophysiology (the study of how an organism interacts with its environment). So far, his research path has seen him work on wasps, different earth mites, mealybugs, ladybirds, aphids, moths, mosquitoes, fruit flies and now entomopathogenic nematodes (insect parasites). All of these critters help us measure and understand environmental change. Right now, he’s working on various distribution modelling projects, particularly to predict invasion potential of various crop pests, and investigating ecophysiology of important biocontrol agents, nematodes, to understand the evolution of functional traits such as thermal tolerance and desiccation. When Matt isn’t playing with tiny animals in the lab, or strapped to his computer modelling different things in R and GIS he is probably out sinking a few beers or a bottle of wine and listening to music out at gigs, wandering through the bush (or fynbos around here) or going for a cycle. Please welcome, Matt Hill! Hormones on the brain – Lauren Drogos joins Real Scientists!